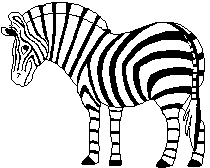 Zebra is a free, fast, friendly information management system. It can index records in XML, SGML, MARC, e-mail archives and many other formats, and quickly find them using a combination of boolean searching and relevance ranking. Search-and-retrieve applications can be written using APIs in a wide variety of languages, communicating with the Zebra server using industry-standard information-retrieval protocols or web services. This manual explains how to build and install Zebra, configure it appropriately for your application, add data and set up a running information service. It describes version 2.1.4 of Zebra.